Welcome to our new GCCYS Girls Basketball page. Whether you have a daughter playing in our league or you are a coach or coordinator looking for information about our girls basketball athletics ministry, we hope that you find the information provided on this page useful. Scroll down to find information about the upcoming season as well as metrics from last season. Dave started as the girls basketball commissioner for the 2016-2017 seasons and also coaches several teams at IHM. NEW for 2018-19 the girls basketball season will begin on the first weekend in December and run for three weeks, followed by a two week break for Christmas. The final six weeks of the regular season follows beginning the first weekend in January. Games are played primarily on Saturdays and Sundays when an occasional game on Friday evening and in rare cases, Thursday evening. The girls tournament will take place this year over the course of two weekends with the 3rd-5th grade tournament taking place the first weekend and 6th-8th grade the following weekend. Are there any new rules that I need to be aware of? 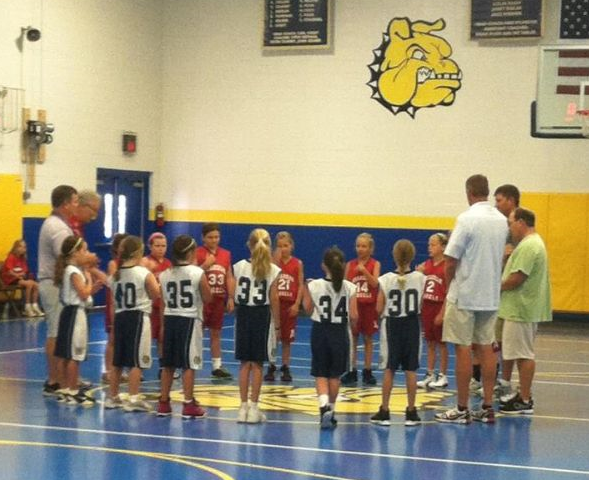 A man-to-man defense rule was implemented for the 2016-2017 season for 3rd and 4th graders. The details of this rule are available in our Rules document. Yes, all of our referees are OHSAA certified. When the GCCYS was formed for the 2015-2016 season, the roster of referees was upgrade to only include certified referees to provide a better game experience for everyone involved. The following is the timeline for the 2018-19 girls basketball season that was approved at the member meeting on 8/29/2018. All preseason items will take place the same as last year, however a large change was approved by member vote to begin the girls season at the same time as the boys season this year. The season-ending league tournament will take place from February 15-18 for grades 3rd-4th and February 22-25 for grades 5th-8th. The Sunday of tournament weekend is reserved for championship and consolation games only. We will work around parish conflicts as best as we can but there is very limited time available for this tournament to be played. All teams participate in the tournament unless they notify the league by February 1st. Schedules are published one week before the tournament begins. A team trophy is given to the 1st, 2nd, and 3rd place team in each bracket.